Taos Tack & Pet Supply is your source for tack, pet food, livestock/pet supplies and feed in one convenient location! We carry a wide selection of pet and livestock products, including feeds for about every animal possible. Western, English and Dressage saddles, supplements, and every tack item available in the current market. With the growth in the tack, general merchandise and feed, our inventory has shot up from $96,000 in 2007 to over $250,000 in 2016. The dramatic growth of our store is based on supply and demand. Our customers demand high quality merchandise and thus we have adjusted to fit those needs. In 2013 we expanded our store to 5,500 square feet in order to fill the orders of our growing customer base. Therefore we can fulfill all your pet and livestock needs. That has allowed us to have remained successful in these tough times, for we have a large, loyal return customer base. Our friendly staff are polite, knowledgeable, always ready to help and know each return customer by name! Since our original expansion in 2007, and now with the additional square footage we offer customers more space to shop and view clearly all the many different varieties of products in our large front showroom and back room feed room. If we don't have it in stock we can order the specific item for you and have it shipped easily and quickly without the hassle of waiting for your product to arrive at home or disclosing your financial information over the Internet. We offer the customer professional, knowledgable customer service each and very time. Owner, Tom Garcia..believes that his store is a natural extension of his life! The store walls are adorned with giclées by renown, Taos artist J.D. Challenger. With a BS in Animal Science and an MBA, animals fits nicely with his business in providing customers the best ever advise and professional consultation in regards to the best for their animal's needs and wants. 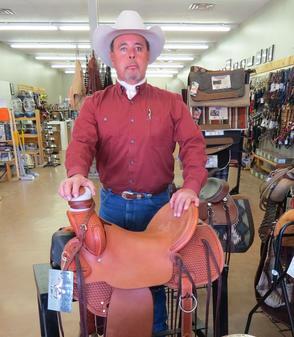 Owner, Tom Garcia also owns Spanish Creek Performance Horses, a Quarter Horse Ranch. You may ask, "Does he use the same products for his horses that he sells in his store"? "Yes"! 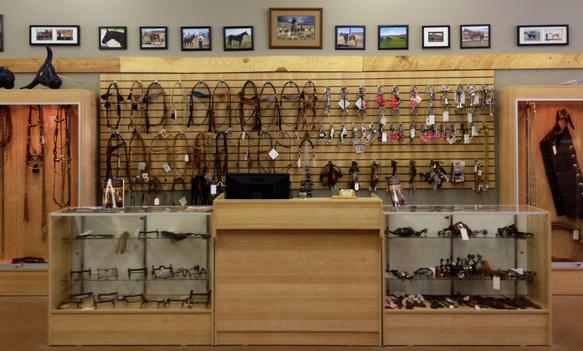 for Tom only wants the best quality merchandise for his horses, and in fact does use the same products, so feel that your in the best hands when you buy your products at Taos Tack and Pet Supply! We have built a special relationship with some of the finest artisans of English, Western and Dressage Tack in the country and thus we uphold a high level of standards and useful functionality. Jackie, Tom's sister whom is known as the stores' "pet person" for she known everything there is about pet food and pet products and merchandise. She helps out with the local non-profit pet shelter "Stray Hearts" and always keeps several pets in the store for adoption. In all Taos Tack and Pet Supply has a combined, the most knowledgable staff any than anybody can ask for in Northern New Mexico. Locally owned and operated and boosting many awards and have been named the Peoples Choice "Best of Taos" #1 Pet Supply Store in Taos for the last seven years. 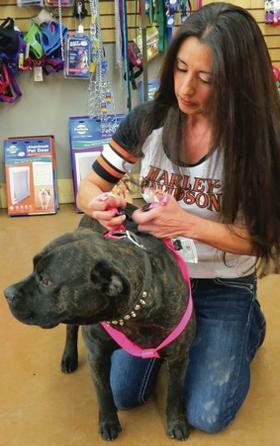 Come visit us and explore and discover why people chose our store over and over again for the best place to shop for tack, pet food, livestock/pet supplies and feed all within one convenient, centralized store! We carry a wide selection of pet and livestock products, including feeds for about every animal possible. Western, English and Dressage saddles, supplements, and every tack item available in the current market.